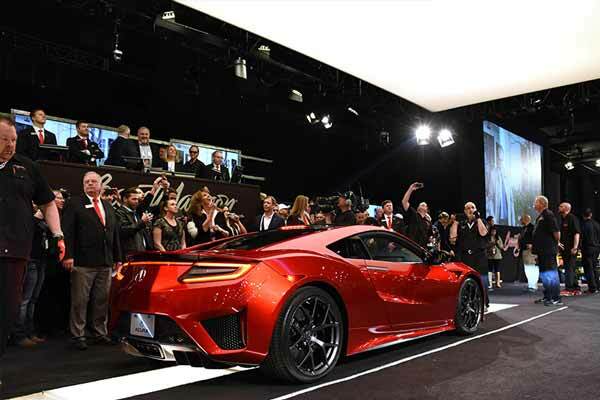 The first production Honda NSX was sold at auction in the USA last week, fetching almost ten times its book price at a cool $1.2million (£842,500). The car featuring the coveted #001 VIN number and was bought by Rick Hendrick, owner of the Hendrick Motorsports NASCAR team and renowned collector of first-edition performance cars. The NSX will be part of the collection in his Charlotte, North Carolina museum. The money raised from the sale will be donated to children’s charities the Paediatric Brain Tumour Foundation (North Carolina) and Camp Southern Ground (Georgia). 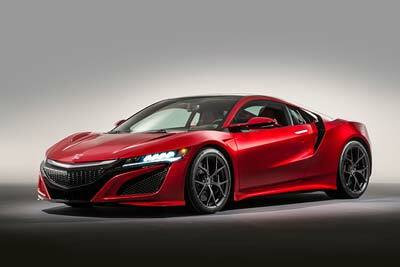 Revealed last year, 25 years after the original Honda NSX super car first went on sale. The Honda NSX is powered by a twin-turbocharged 75-degree DOHC V6 engine coupled to a nine-speed dual clutch transmission (DCT) mated to three electric motors. The combined power output is 565bhp, which will allow the NSX to accelerate from 0-62mph in under three seconds (estimated). The all-new Honda NSX goes on sale in Europe later this year. The all-new Honda NSX goes on sale in Europe later this year (2016).